Wicklow Triathlon Club is holding an open evening in Shoreline, Greystones on Thursday the 20th of February 2014 at 8 p.m. The presentation night is open to everybody, from the complete beginner to the more experienced athlete. Completing a triathlon is seen as a major achievement and crossing the finish line – no matter your place in the field – can be a hugely rewarding experience. 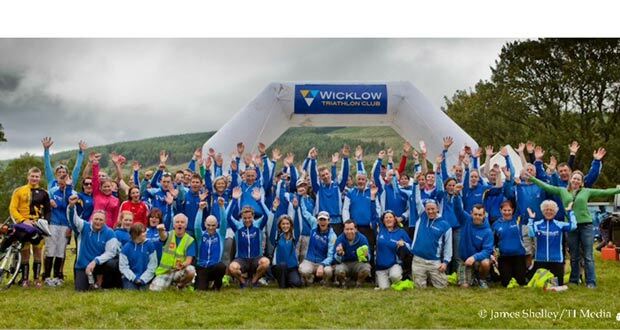 Wicklow Triathlon Club is one of the fastest growing and one of the most successful triathlon clubs in the country. The club run a number of training sessions each week including coached pool swim sessions, run sessions, indoor bike turbo classes and weekly cycles. Every level is also catered for. Wicklow Triathlon Club have also invested heavily, in a new youths section (over 8 years) and members from the junior section will be on hand on the night to assist in any queries you or your child may have. The sport of triathlon in Ireland has grown explosively in the last five years with the governing body, Triathlon Ireland, recording double digit growth from less than 500 members to over 7,300.To cater for the demand local club Wicklow Tri will be holding an open evening for anyone looking to find out a little more about the sport and the club. We will have experienced club members on hand to provide advice and tips on how to train for your first triathlon or how to improve to the next level. Last year’s open evening was a huge success and Wicklow Triathlon Club hope to see another big turn out this year.